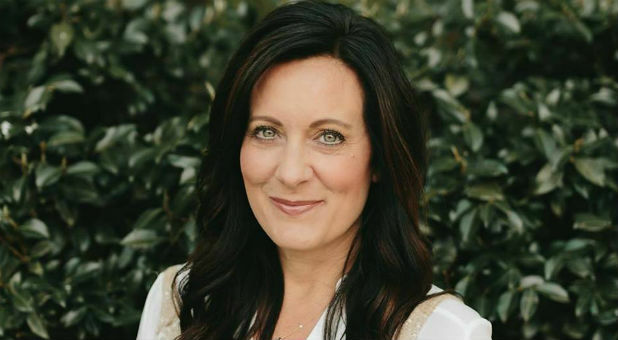 My guest today on the podcast is Lysa Terkeurst. Lysa is one of the founders of Proverbs 31 Ministries and for the past twenty years has touched thousands of women with this ministry. In our interview, we talk about how women walk in victory over things from their past, but still struggle with feelings that linger deep within their heart. Lysa encourages women to be on guard because Satan loves to pick up the old scripts that say, ‘you’re not worthy, not good enough, not capable.’ It’s at these times we need to stand firm in our faith, affirm our identity is in Christ, and be confident that God is good at being God. These words are so powerful! I asked Lysa how she guides women to walk in assurance every day? She paints a beautiful picture using Psalm 51 to give us a fresh perspective. Not everyone can identify with being in a season of success or celebration, but everyone can identify, in some way, with being broken. In Psalm 51, David cries out to God about the brokenness in his life, asks God to cleanse him, and to create a new heart in him. For each of us, doing these steps allows God to begin to change and create a new heart in us. As a mom of five children, Lysa is a wealth of knowledge about being a mom, wife, successful woman, and finding your way through parenting. Proverbs 31 Ministries encourages women to choose a word for the year. Lysa’s word this year is beautiful. She describes an inspiring story about a set of antique doors that now hang in her bathroom, and why these doors inspired her to feel beautiful and put something beautiful in her line of sight every day. I am so thankful to have this opportunity to talk to Lysa. Here’s my interview with Lysa Terkeurst. Dana and I have been friends for many years and I am so excited to have her on the podcast today. She has spent over half of her life as a wife to her husband Chris, a dermatologist, and a mother to her two children, Chase and Candice! She is a former teacher, but now loves to cook and entertain in her spare time when she’s not pouring into her three grandsons, age 5 to a newborn! Her son-in-law is the former Dallas Cowboys quarterback, Tony Romo, and her son Chase is best known for his role on Gossip Girl. We had a great conversation about being humble, vulnerable, and what it means to thrive as a woman, wife, and mom! Keeping your house in order and spending a little extra to have some help with this can make a huge difference in being a parent and wife; it creates a balance for everyone. Dana and I had such a meaningful conversation and I am so excited to share that with you. Here’s my interview with Dana Crawford. As we continue into the new year, I am so excited about the inspiring story my guest shared with me today. My guest today, Katie Bryant, is married, has three kids, and lives in Rochester, New York. 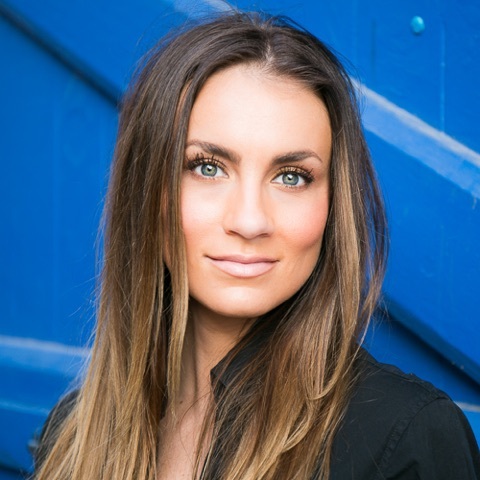 She is a Fitness and Lifestyle Coach, but honestly, listening to her story and how she got to where she is today is so riveting, it brought me to tears. Katie shares that she had a vision of what her marriage would look like, but didn’t realize God had a very different plan. After her third child was born, she began to fight depression, anxiety and struggled to understand her purpose. To most people, her life looked perfect, but inside Katie was spiraling down and lived in such a low place, she decided she was going to end her life. Miraculously, her beautiful children would be part of God’s healing journey. Katie ended up in the hospital, heavily medicated, and began a six-year journey to discover a new life God had planned. The road was difficult and not very clear after coming home from the hospital. Katie shared how she started overeating, drinking alcohol, and gained 50 pounds. She tried every gimmick and diet, but two words kept coming in front of her, CLEAN EATING. She began reaching out to this community and over the next months found support from others who wanted to cheer each other on. Katie admits her walk has been a difficult road, but today as a Fitness and Lifestyle Coach one of the questions she asks women is, “Why do we work so hard to cover our shame and vulnerability?” Katie’s definition of thrive is “living my best life, not what society thinks, and helping others do the same.” She used to end her day with the thought, “I’m still not good enough,” but today, she ends her day knowing she has tried in every area to the best of her ability. 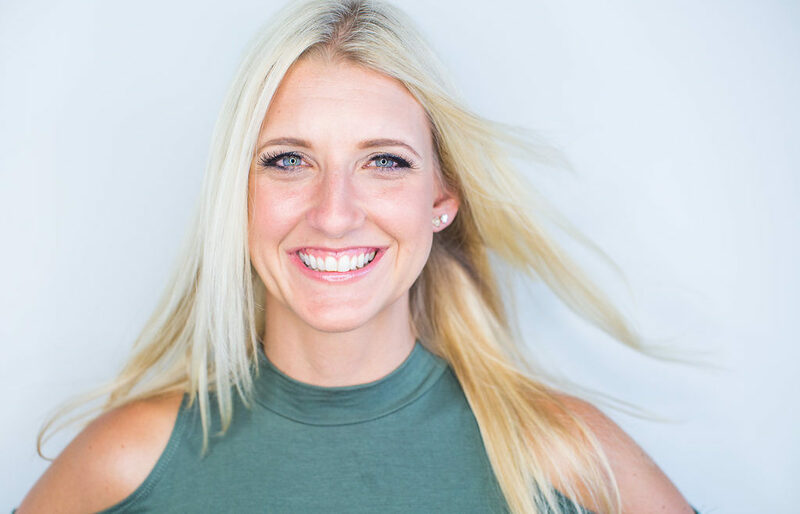 Katie made a decision to change her mindset and today her mantra is “I NEVER QUIT.” She focuses on her journey, and to be the best person she can be. I hope Katie’s story will be a blessing to you today. Here’s my interview with Katie Bryant. I am so excited to talk with Angela Lanter on TBB today. Angela was born in Akron, Ohio, is married to Matt Lanter, an actor, and a BIG congratulation on the arrival of their baby girl just a few weeks ago! 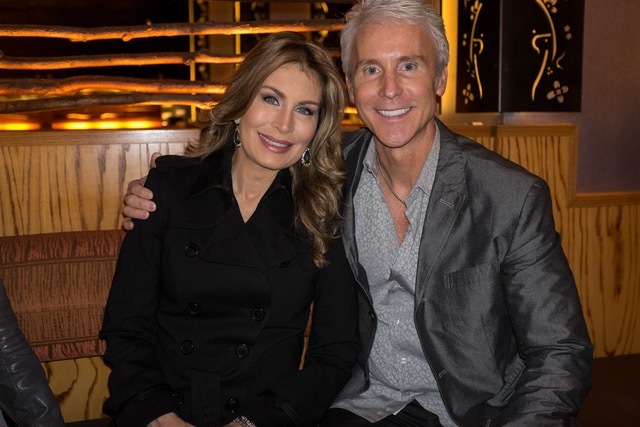 Angela and I talked about her love of fashion from a very young age, and shortly after moving to Los Angeles, CA she and Matt started a wildly popular fashion blog Hello Gorgeous. Creating this blog has truly fulfilled one of her lifelong dreams, being able to pour into other women. Hello Gorgeous is a place she can be “real” with the stuff nobody is talking about or topics women feel too embarrassed to share. Admittedly, being an actors wife has its challenges, one of the biggest was moving from Los Angeles, CA to Vancouver, British Columbia where Matt worked on filming Timeless. The tough part for Angela was the long hours of being alone in a city where she didn’t know anyone and finding projects to fill her time. Angela learned to take advantage of the long days by diving into Proverbs 31, spending her time meditating, and reciting these verses. The encouragement from Proverbs 31 inspired her to create a refuge in their home for her husband, giving him a place to breathe and retreat after working ridiculously long days. Realistically, this was a tough time, but learning to surrender to self, and creating a comfortable safe place for your spouse, was worth all the lessons learned during this season. God really does know what He is doing. In the interview we chat about relationships, building a community, reading books about marriage, dads, dating, hurt feelings, and learning to respect one another. I enjoyed our conversation so much. Here’s my interview with Angela Lanter. As we close out the year and begin a new year, I am so excited to have as my guest Corie Clark, the founder of Corie Clark – Your Life. On Purpose. Corie has been married to her husband Ryan for 21 years, they have three kids (one starts college this year) and she is a homeschool mom. As Corie and her family navigated some pretty difficult years together, she realized that she was addicted to chaos. Through many tears, fears and a lot of unknown, they began to simplify and create margin in their lives. As a result, The Simplicity Project was born, a book to help you win your battle with chaos and clutter so you can live a life of peace and purpose. Would you be ready to take the 6-week Declutter Challenge, to take your LIFE back, sweat a little, and maybe even cry a few times? Corie promises, if you make a step forward and take this challenge, you will feel so good at the end, it all starts with a small step. The more we talked, Corrie shared how she used to be afraid and worried as she was raising her kids that she would end up not knowing who she was when the kids left home? 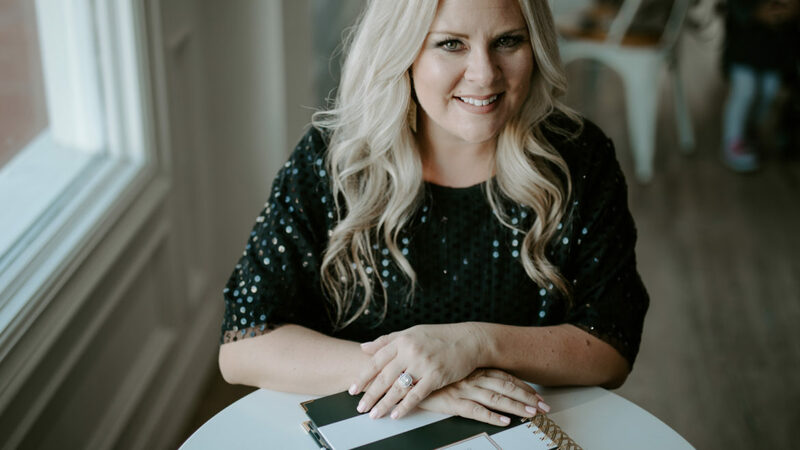 But God answered her worries with a simple “you need to create margin, and give me some room.” She began to realize that as she carved out space in several areas of her life, God could work miracles in these margins. We talked about simplifying your health, your home, your finances, and your time, and asks each person to apply 15 minutes to these areas and watch your life begin to feel free. I truly enjoyed my time with Corie. My hope is that each of you has a great start to the New Year in 2018 and will make a step toward decluttering your life. Here’s my interview with Corie Clark.